Following a 25-year career as librarian at Harvard University, Attorney James Hodgson returned to an early interest, pursuing a law degree at Southern New England School of Law. He received his juris doctor degree in 2002 and joined Beauregard, Burke & Franco as an associate at that time. He became of counsel to the firm in 2010. 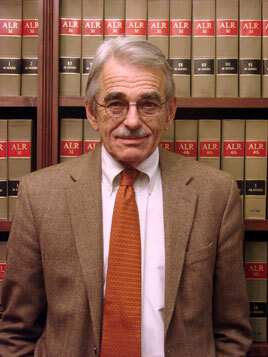 Attorney Hodgson is the former librarian of the Harvard University Graduate School of Design, where he served on the faculty. He also served as bibliographer for fine arts in the Harvard College Library and the Fogg Art Museum. Attorney Hodgson holds degrees from Brown University and Simmons College. Attorney Hodgson practices in the field of civil litigation.